Will you use the force for good or for evil? 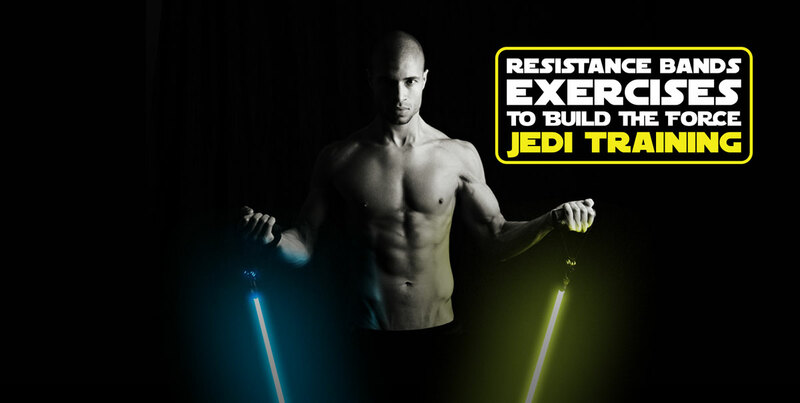 Whether you’re training to become a Jedi, a Sith, or simply want to improve your strength and build some muscle, resistance bands are a great way to build your force. Lucky for us, BPI Sports’ National Sales Manager, Whitney Reid, put some awesome resistance band exercises to the test and documented it all for us. See how versatile these bands can be in this post. Resistance bands come in a variety of resistances including light, medium, and heavy. To further tailor your workouts to your Jedi training, you can adjust the intensity of the bands by giving out or taking in some of the slack of the band. You can even use multiple bands simultaneously to challenge yourself even more. No need to create an all-new, complicated workout routine, these bands can be used very similarly to exercises you already do: bicep curls, push-ups, military presses, and many, many more.